Aromatherapy has been recognized for centuries as having potentially profound healing effects. Essential oils can help awake and stimulate, or relax and promote better sleep. The Mr. Steam AromaSteam system evenly infuses oils into the steam shower via an electronic delivery system for balanced, seamless integration of aromatherapy. By merging oil and steam into a sensual mix, the AromaSteam System injector pump atomizes the oil and creates the perfect in-steam aromatherapy experience. Mr. Steam’s specially-formulated essential oils are extracted from organic flowers and plants. Each aromatic oil offers a distinct fragrance with characteristics that may support the body’s specific needs. Mr. 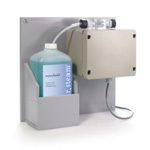 Steam AromaSteam System includes the oil container caddy, hoses, fittings and oil atomizer. May provide additional relief the respiratory system ailments. The exquisite collection of Mr. 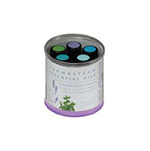 Steam essential aroma oils are available in replaceable long-lasting one-litre (33 oz.) bottles. Aromatherapy was mankind’s first medicine, a holistic practice of caring for the body using botanical oils. Essential oils can help awake and stimulate, or relax and promote better sleep. The Mr. Steam Aromas are a unique collection of natural fragrances, enrich the steam experience. Earth Friendly Organic Oils contain an alcohol free coconut emulsifier. Made from natural plant extracts. Available in 10ml individual bottles or 5 pack containing one of each fragrance. 10ml bottles perfect for the oil reservoir designed into Mr.Steam steam heads. 1 Litre bottles available for Mr Steams Aroma Steam System.